Made Man featured the Redux 3 in its 'Stylish Bikes That Won't Make You Look Like a Total Noob' roundup. The Redux 3 is crafted with an aggressive design, disc brakes, and wider street tires, making it an excellent bike for urban commuters. 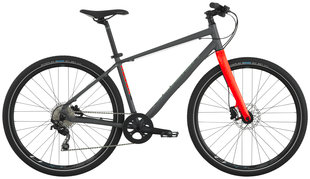 Editor's Quote: "The Redux 3 combines an aggressive design and disc brakes with wider street tires for picking up speed, so you can take it downtown or off-roading." To view the Redux 3, click here.